Join Elizabeth and Stephanie as they welcome the new year alongside Michael Pollak of Heyday for a skin chat and That's So Retrograde’s A.I.R. (astrologer in residence), Ambi Kavanagh, for a month by month Astrological forecast of 2019. The wellness world’s most celebrated funny duo, Stephanie Simbari and Elizabeth Kott bring their podcast live to New York Comedy Festival! With Special Comedic Guests, Jade Catta-Preta and Joey Greer. TSR on Watch What Happens Live! Tune into Bravo on September 25th to catch Stephanie and Elizabeth bartend on Watch What Happens Live! Stephanie and Elizabeth take Brooklyn for the first ever Live TSR show in NYC! Lineup TBD. Elizabeth and Stephanie will be bringing their live show to the East Coast for Thrive Weekend ! Use promo code: THATSSORETROGRADE for 25% off! That's So Retrograde brings their live show to LA's hottest comedy theatre, The Dynasty Typewriter. $15 pre sale / $20 at the door. That's So Retrograde brings their live show to The Grove in Los Angeles. That's So Retrograde LIVE ! Join Elizabeth and Stephanie and special guests as they bring their popular podcast to a live audience at Wanderlust in Hollywood. General Admission or Meet and Greet available. That's So Retrograde is bringing their podcast LIVE to SXSW's Podcast Stage ! Watch this space for further details! Details Coming Soon / Get more info and Tickets here. You are invited! to join That’s So Retrograde at Saje Natural Wellness in Venice for a night of fun in Retrogradeland. card readings! acupuncture! natural beauty! Elizabeth and Steph Talking! Drinks! Food! Avoid being a wellness cliche and learn how to cleanse the right way, no deprivation or starvation required. We'll discuss the ins (and outs) of detoxing and debunk those silly cleansing myths. Elizabeth and Stephanie host a private event* with a group crystal healing lead by Katie Manzella in celebration of Sweatheory's new Infrared Yoga room. Wellness In Depth Stephanie Simbari and Elizabeth Kott of That’s So Retrograde host two unique workshops: modern hypnotist Morgan Yakus will lead a session on the power of manifesting through positive thought; Guru Jagat, founder of RA MA Institute for Applied Yogic Science and Technology will speak on Kundalini yoga and meditation. Every Monday night, Producers and hosts, Stephanie Simbari and Elizabeth Kott of the popular show, That’s So Retrograde join forces with No Name, and bring the creme de la creme of the LA comedy scene to the funniest list-only stand up show in Los Angeles. Previous comedians include: Beth Stelling, Byron Bowers, Eddie Pepitone, Damon Wayans Jr., Jackie Tohn, Thomas Dale, Jade-Cata-Pretta, Joey Greer, Jon Rudnitsky, Dan St. Germain, Jamie Lee, Jerrod Carmichael, Jeff Ross, Sarah Silverman, + more ! 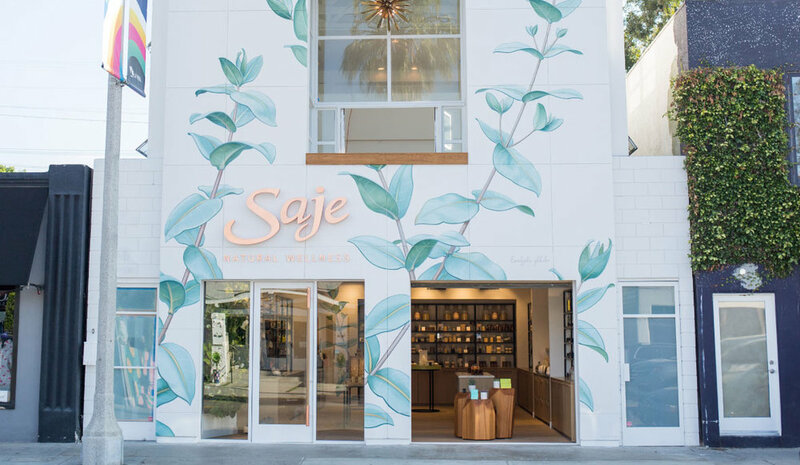 Join us as we partner with Bloomingdale's for an exclusive mindfulness workshop led by one of our favorite guest regulars, Kelsey Patel, a leading Los Angeles wellness & reiki expert. Kelsey's meditation practice will focus on breath work, mindfulness coaching & reiki for some early morning reflection. Space is limited, please reserve your spot by registering at link below. After the workshop, join us on Level 3 for a Namaste & Play shopping party (10am-12pm) filled with sips, sweets + more! The girls join forces with Kelsey Patel to host a guided reiki healing meditation. This is a private event. Elizabeth and Stephanie bring their acclaimed podcast to the stage in this live rendition of their show with special guest, The Spiritual Owl. The podcast discussion resonates so timely as many of us are thinking of starting one as a platform/extension of our businesses or feeling inclined to certain podcasts to guide their life (Liz Gilbert or Ilana Glazer? You tell me.) Podcasts are the gateway to so education cliff notes, listening and learning from all kinds of experts + educations, entertainers and doctors. But, does it help to have a podcast as an extension of your business or as your total business? We'll be exploring the benefits and the importance of how podcasting works, understanding how to find your audience and why Stephanie + Elizabeth decided on creating a podcast geared towards exploring holistic health as an entry point to an audience. You may just ask yourself, where's my mic at? Join TSR's hosts Elizabeth and Stephanie as they moderate a conversation with Alchemy with Ambi's, Ambi Sitham breaking down the cosmic forecast for 2017.